Web Hosting is an integral part of your online business infrastructure. Your hosting should complement the size and scale of your business. For instance, shared hosting plans are ideal for private blogs and reader-oriented websites, while VPS is suitable for news sites and those with heavy traffic. Dedicated servers are ideal for ecommerce websites with a lot of traffic and heavy transactions. Apart from these, there are numerous things you should look for in a hosting provider. I recently found one, which answers to all round requests. I have been using TMD hosting for one of my websites for over six months now. I have never had any complaints regarding downtime or customer service. Therefore, I am writing this review to notify you about its benefits and various offers. 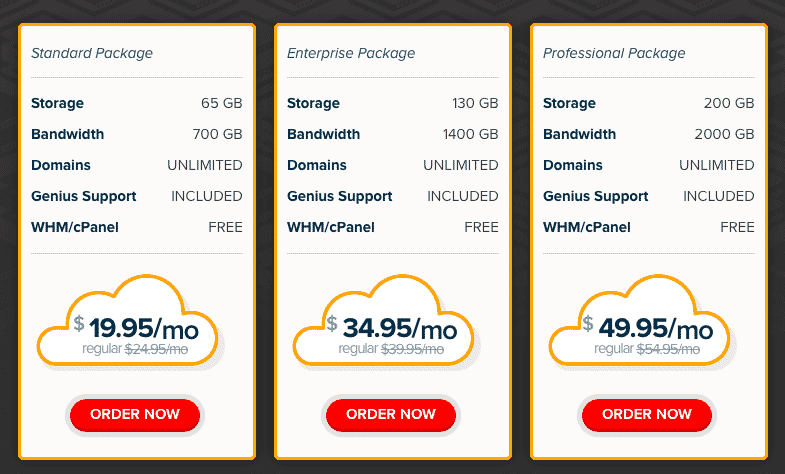 With affordable rates as low as USD 2.85 a month and host of options and customizations to choose from TMD hosting provides comprehensive solutions to people looking to setup their businesses online. 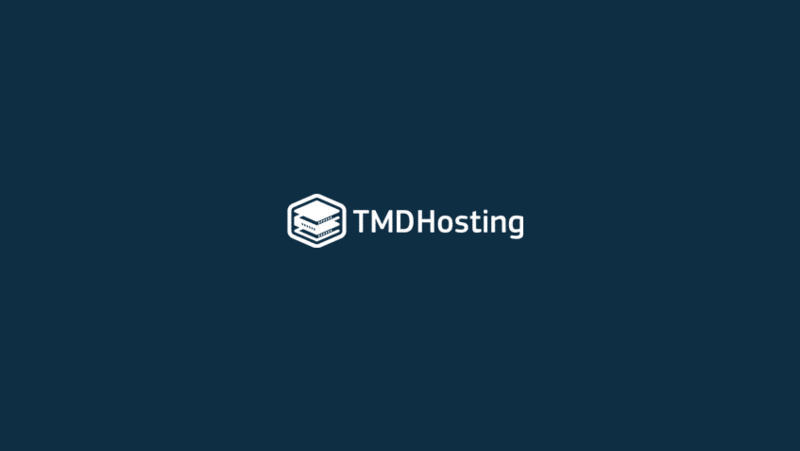 Coupled with 24/7 support via call, email and chat TMD Hosting is a great alternative to mainstream hosting providers like GoDaddy and HostGator. We will look into each of its services and find out what suits you best. 6 What is the customer experience on TMD Hosting? 7.1 30-Day Money Back Guarantee on all plans! High Speed: The SSD super charged servers help in providing 20 times higher speeds compared to other hosting providers. This means faster results for your readers, which means lower bounce rates and maximum conversions. High speed allows for smooth user experience which boosts website performance. Robust Protection: TMD hosting provides you with a free subscription of SpamExperts, which is a complex tool which protects your website and emails from unwanted spam and threats. It also has its own account isolation technology, which adds to the protection. This kind of hosting plan is best suitable for new websites, private blogs and small level websites who don’t expect heavy traffic volume. If you are looking to expand then read further. With Reseller hosting, the account owner has the authority to use his/her space (provided by the main service company) and bandwidth to host websites on behalf of third parties. This basically means that you buy the hosting service at wholesale rate and sell it to others at a profit. If you know people who are in need of such services then you also can make money by becoming a reseller. Unlimited Domains: Not only do you get unlimited domains on each package, you also get over 120 domain name extensions and that too at the discount. You can transfer a number of sites to your hosting from other hosting providers for free. All in all, TMD Reseller hosting packages provide a cheap way to become a reseller and exploit your network. VPS hosting is for those website owners who expect increasing traffic to their websites and require a heavier infrastructure to support their load. This means higher bandwidth, private support, increased speeds and zero downtime. With TMD Hosting you get all of this and more. It regularly updates the servers to accommodate any technological changes on the software front. This helps in keeping your website active all the time with no surprises to your readers. You never have to lose face again because of site crashes and downtimes. It has 24/7/365 human monitoring for its Virtual Private Servers that reduce the possibility downtime to zero. You can install custom software for free. These include frameworks like Memcached, APC, Nginx and more. They do daily and weekly backups so that your data can be instantly restored in case of a mishap or data loss. VPS hosting is ideal for medium level businesses and popular blogs that attract a lot of traffic online. If you are looking to scale up your blog or website then you should try TMD Hosting’s VPS service now! Cloud Hosting is a fascinating technology. Every thing is based out on the Internet. Cloud computing technologies allow unlimited number of machines at different geographical locations to act as one system. This allows for higher amount of space, increased bandwidths and much faster speeds. Normal hosting solutions depend on one machine only whereas cloud-hosting security is taken care off by many different servers. Therefore, it is a worthwhile option for mainstream online businesses. You get 30x faster speeds given the number of SSD drives involved at multiple locations. Caching engines are inbuilt so that all the relevant information is protected. Optimal caching configurations allow for higher browsing speeds. 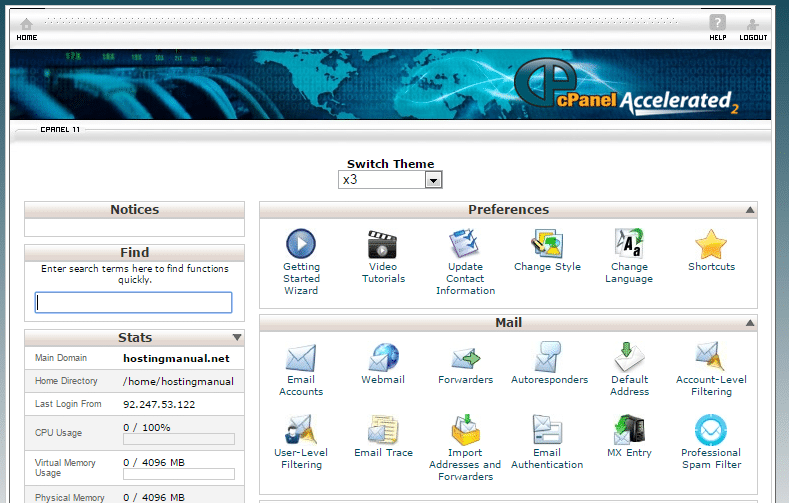 It also comes integrated with Cloud Fare content delivery system, which can be easily controlled from the TMD cPanel. This CDN allows you to cater to your customer need efficiently and without fail. Dedicated servers are the best option for already established businesses with a much higher outreach compared to shared hosting or reseller hosting users. We are talking traffic streams in millions and large bandwidths. That is why they are more expensive than traditional hosting providers. Here, the plans start from $229 per month and offer various benefits. 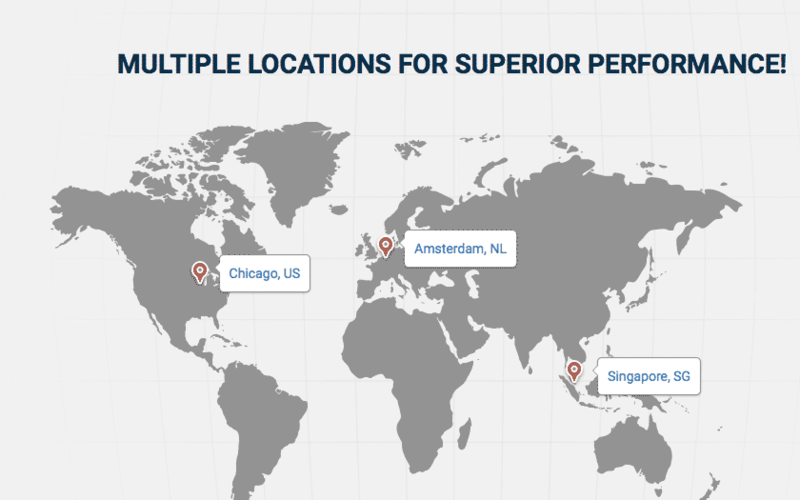 With server locations in US, Europe and the Asia Pacific, TMD hosting allows for greater speeds and smooth customer experience. They do rapid provisioning where pre-built operating systems deliver your server as soon as possible. If you the knack for tweaking base code then you can use these servers to suit your specific needs through root access and command line controls. You also get WHM access (Web Hosting Manager) through which you can manage your cPanel and do all the server management you need! It is integrated with Memcached and other caching software, which allows for better browsing speeds and low downtime. With such dedicated frameworks and the huge traffic, the security risk increases. Therefore, TMD dedicated servers come powered with Cisco Guard Hardware Firewall, which protects your entire operation from threats and hacks. 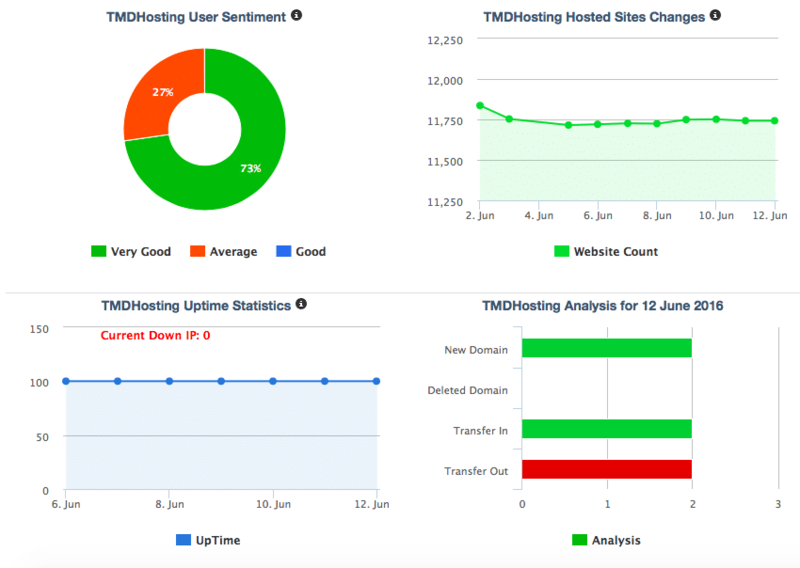 What is the customer experience on TMD Hosting? One can clearly see in the statistics provided that in general customers are satisfied with their experience of TMD Hosting services. 73% find the services very good while only 27% find it average. No one finds it bad. The uptime is consistent and the number of people who are shifting their websites to other providers is quite less. One can clearly vouch for the customer experience with TMD Hosting. 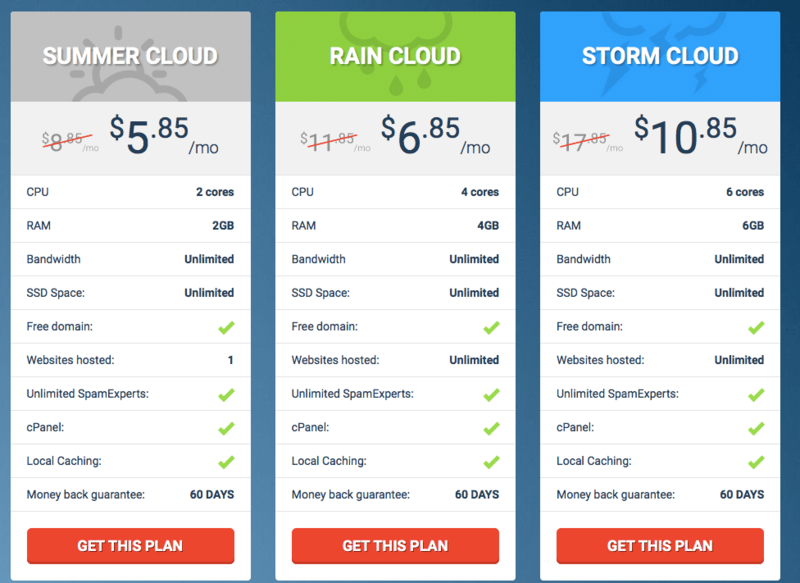 I find this excellent and it encourages me to promote this hosting service all the more. The feedback on customer support for TMD hosting is quite great. As they are available at multiple locations, 24/7 support over call or live chat is not a problem. The email support is also proficient and the response times are appreciable. Sometimes, however they make take time to respond but your problems will be fixed before irreparable damage. 30-Day Money Back Guarantee on all plans! This is a very attractive offer now. Your entire risk is easily covered. You can try it for a month and take your own analysis as the deciding vote. Although, you will love the services as I did but if that is not the case then you can have all your money back. TMD Hosting provides a wide array of services suitable for businesses and websites of all shapes and sizes. If you are a newbie you can go for the shared hosting plan. If you want to make some money selling hosting services, you can become a reseller. If you have a popular blog and are in need of scaling up your hosting infrastructure, you can choose the VPS plan. If you are a big business then the dedicated servers are best for you. You can also choose the cloud option to keep everything slick, smooth and fast as the wind. With higher speeds, loads of inbuilt features and integrations, TMD hosting provides comprehensive solutions for all types of online portfolios. Do give it a try and don’t forget to share your experience here. PS: In my 6 months I have not come across any complaints. If you have please share and join the discussion!